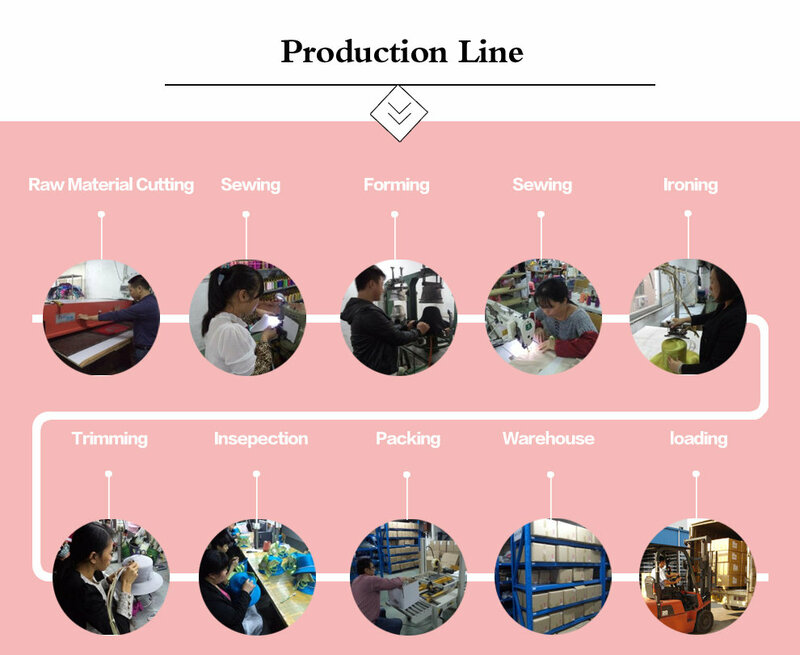 Kingting Millinery Co., Ltd. is specialized in manufacturing and exporting church hats, sinamay hats, organza hats, wool felt hats, velvet hats, straw hats, fascinators and hats body. Our factory covers an area of 2,000 square meters. 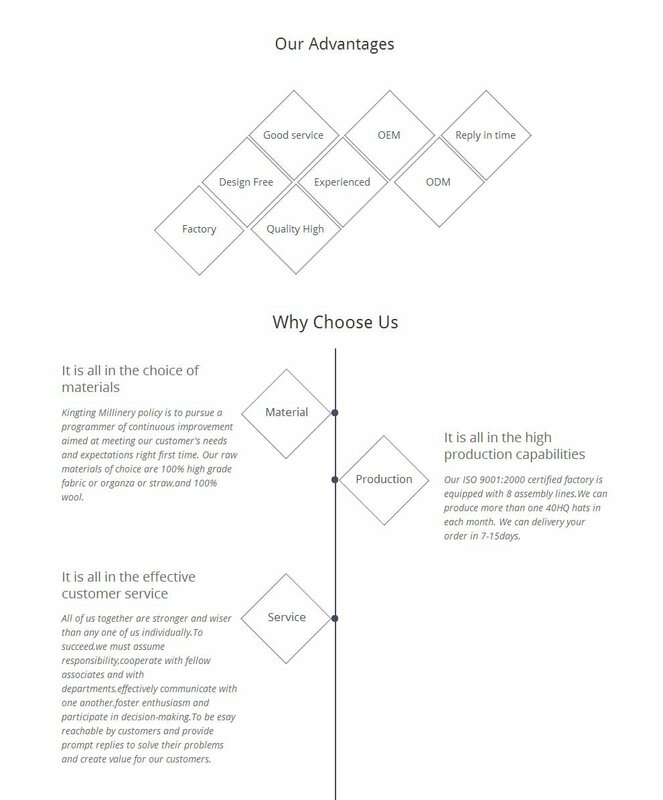 Currently, our output is approximately 300,000pcs hats monthly. All our hats are with unique design, high quality and competitive price. More than 95% of our hats are exported to the USA, Canada, Australia, the United Kingdom and other European countries. We always try our best to keep up with the fashion trend as we have our own designers to give professional suggestions. And our designers design new styles hats for every season and we can provide more than 1,000 new styles every year. We also accept OEM and ODM order. Your design is welcomed and any logo, material, color, size and specification is available. Thank you for visiting our website. We warmly welcome you to send us your specifications and requirements. Please feel free to contact us with any questions or inquiries that you may have. We are sincerely looking forward to hearing from you.